Wall Grabbers are dreadful decals that cling to walls! Realistic images that you can put anywhere. Create an entire scene with decals for your walls, windows, and your floor! 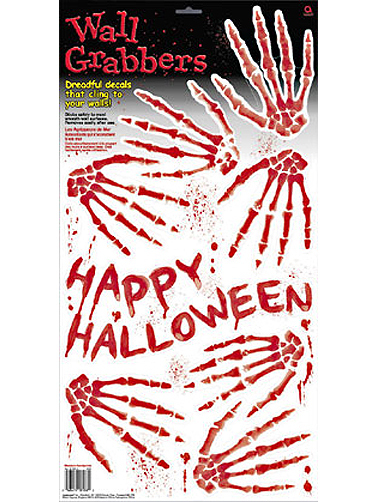 Skeleton Prints Wall Cling measures 24"H x 12.5" W.